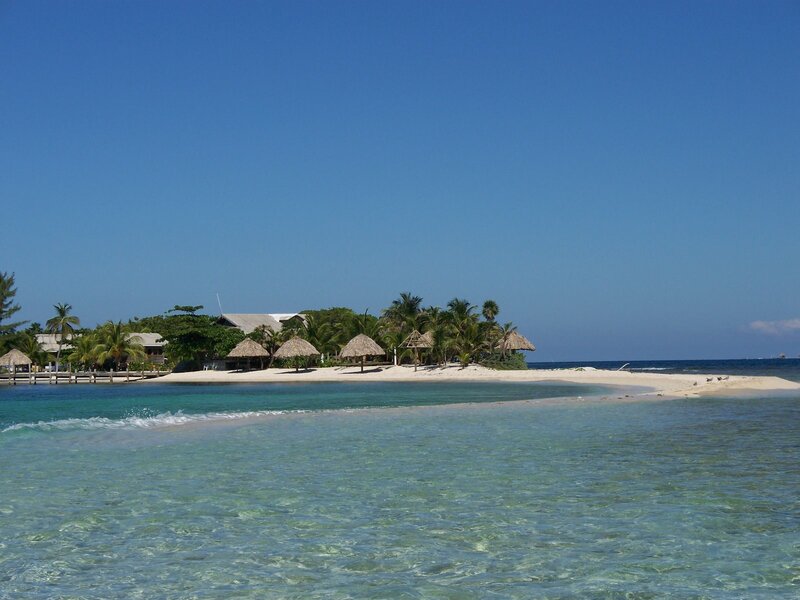 The Cayos Cochinos are a group of 15 cays off the north coast of Honduras. They got their name because apparently from the air the islands look like the outline of a pig (cochino means pig in Spanish). Mom, Dad, Kathy, and I signed up for a tour that took us out to the cays on a day trip. 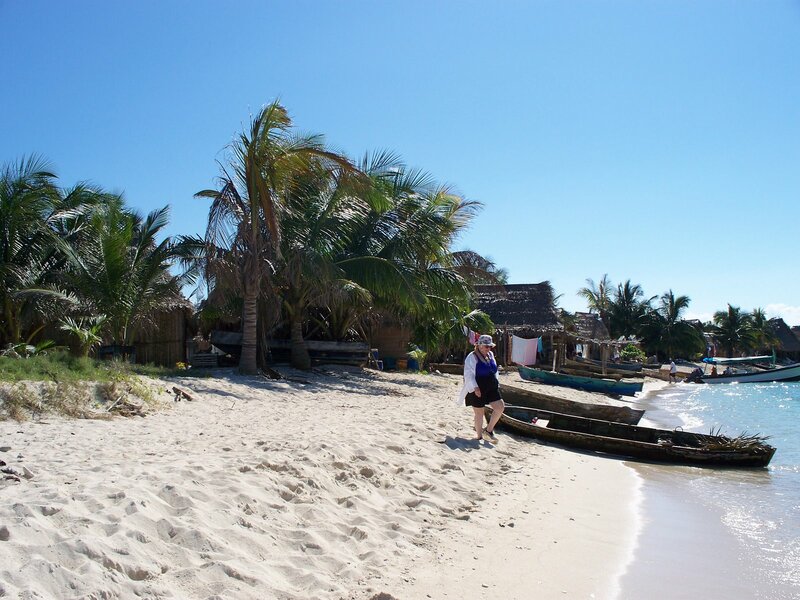 We got to visit three different islands, snorkel a few times, and eat lunch in a Garifuna village. It was incredibly beautiful! The boat came to pick us up on the beach outside our hotel. 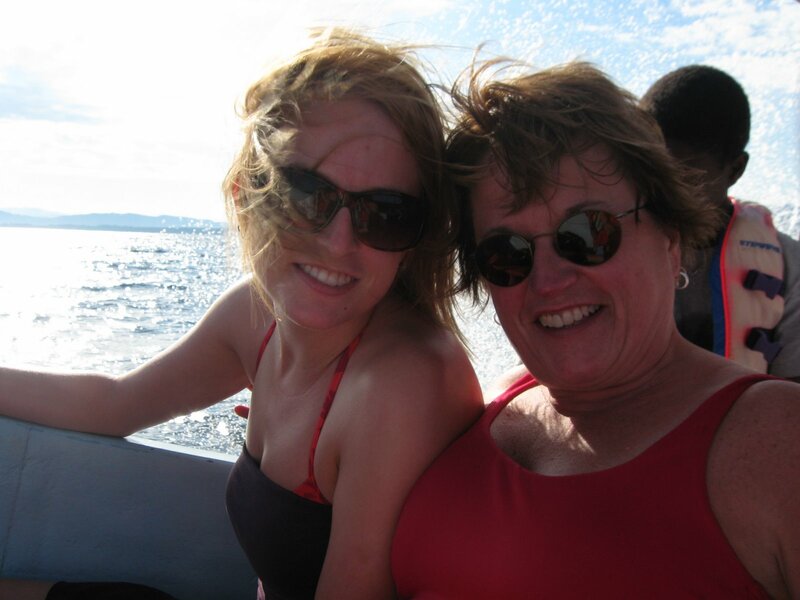 Mom and I managed to snag seats in the front row of the boat which meant lots of wind and sea water spray! A teeny cay with a whole lot of palm trees. A house on one of the cays. We ate lunch on this island. 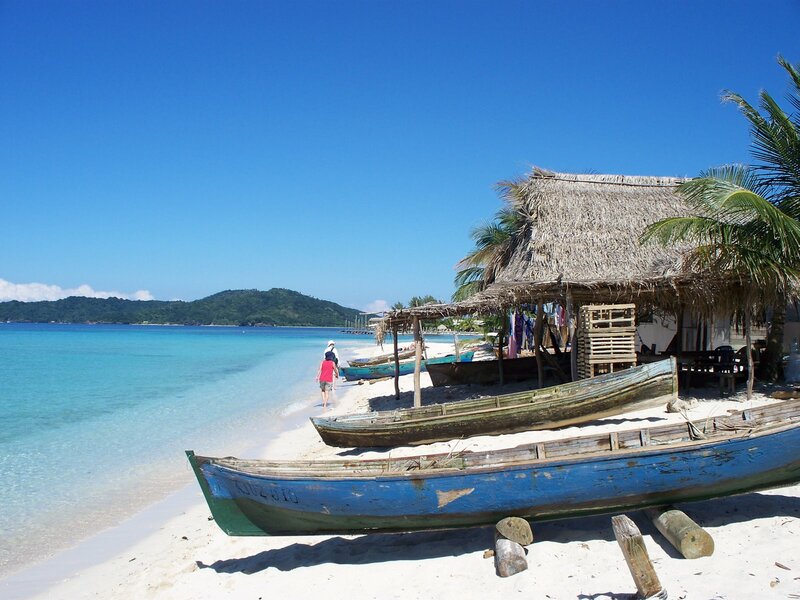 A community of Garifuna people inhabit the island. They fish and serve lunch to tourists as a means of income. The story goes that a British slave ship was headed to the mainland when a severe storm hit. The ship was about to go down so the slaves were unchained. 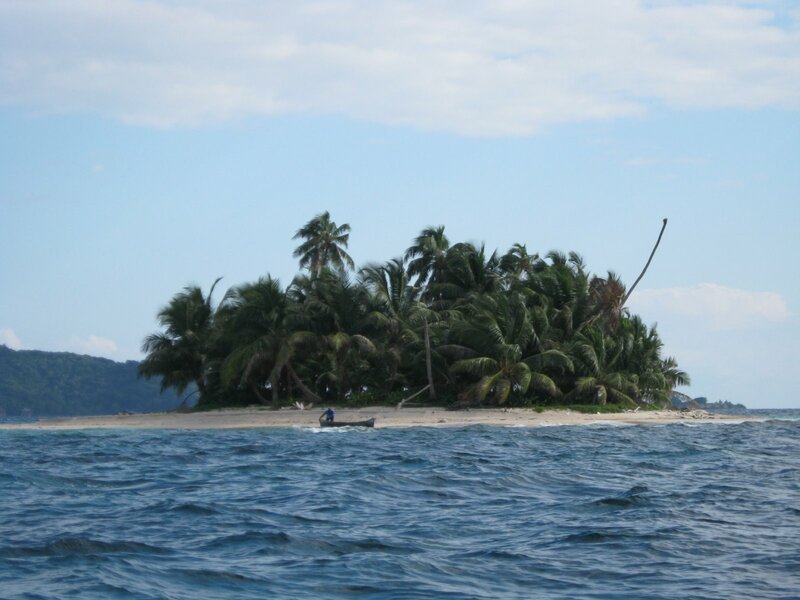 They washed ashore in the Cayos Cochinos and have been living there ever since, never enslaved except for the boat ride. Dad walking down the beach of the cay we had lunch on. 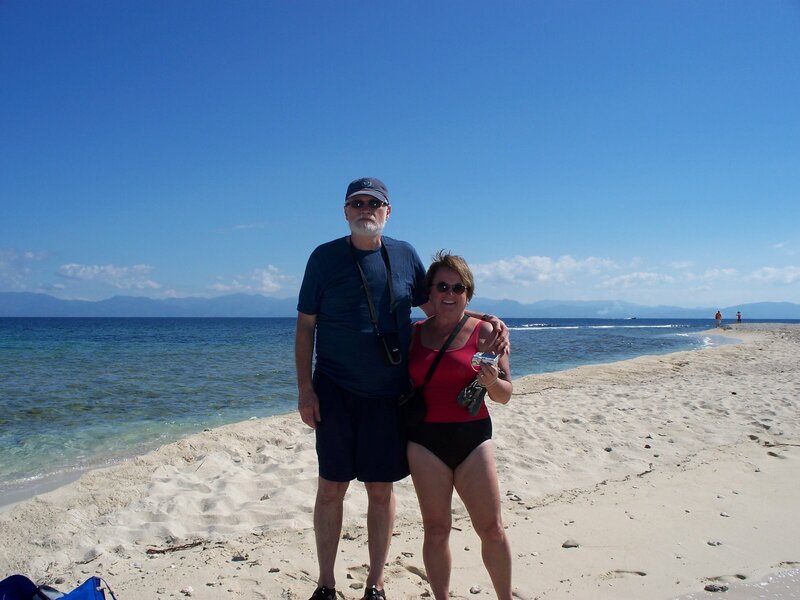 Mom and Dad on the island. Kathy headed down the beach. The cay we ate lunch on was very close to another cay. In fact it was possible to walk between the two by wading into the water about knee-high. This meant that the waves actually rolled into each other because the shores of each island were so close. It was definitely a weird sensation! 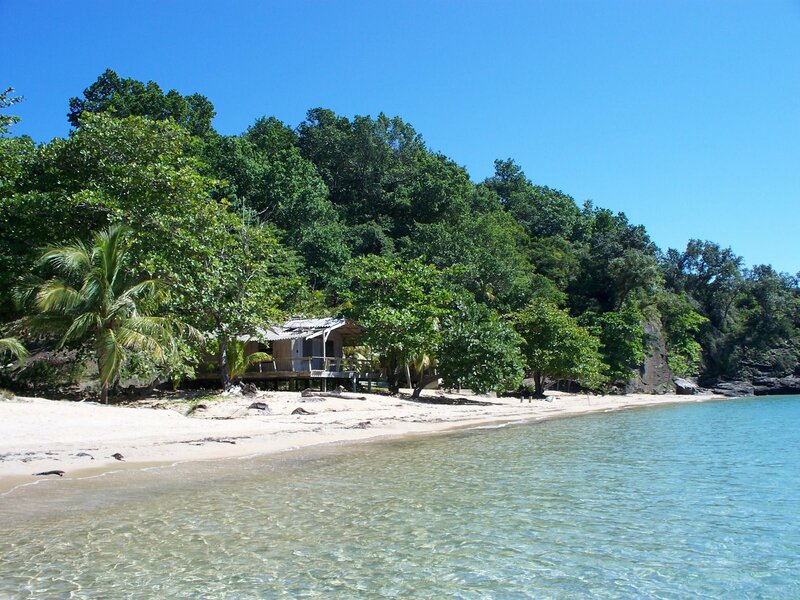 One of the Cayos Cochinos is currently the filming site for an Italian reality show. According to our guides this has made the area even more popular. 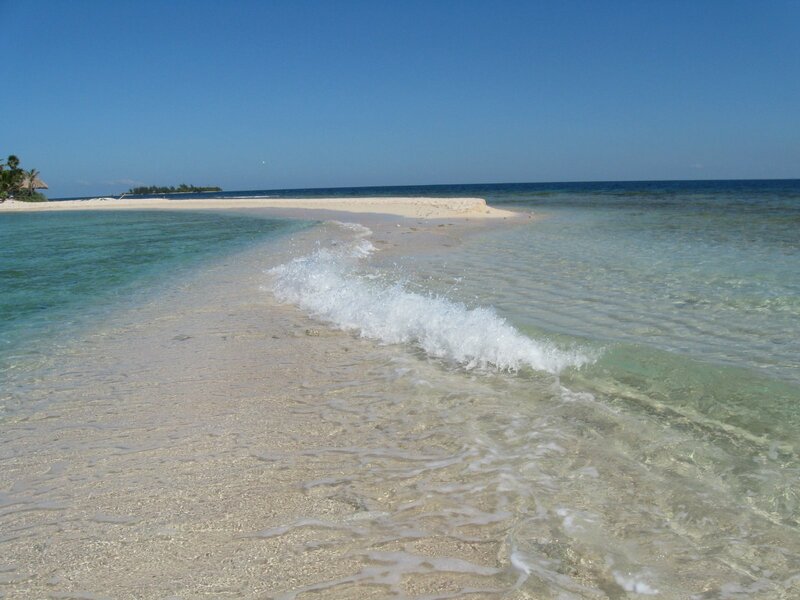 what a paradise!The water looks absolutely clear. Was it cold? You’ll be so spoiled after all of this, how can we compete?